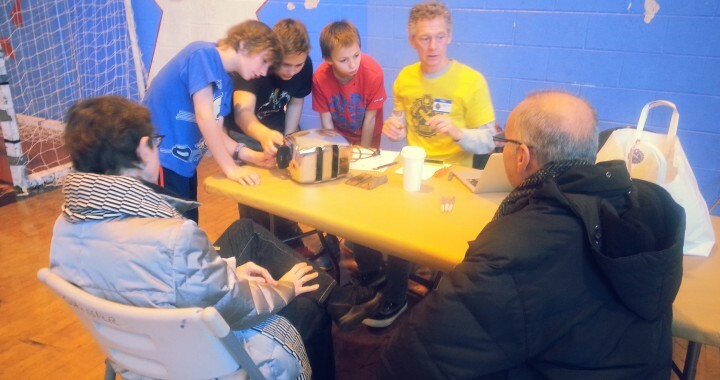 This past Saturday, the Guild’s talented fixers had their hands full with a continuous stream of broken and damaged items. Guests from as far away as Buck’s County brought everything from lawn mowers to dining room chairs. Of the almost 60 items carried in for repair, 30 were brought back to life through cooperation between owner and fixer. Much of the remaining unfixable items required parts that would be acquired by the owners and fixed later. Guests were encouraged to assist with the repair or mending tasks so they could learn to eventually fix things on their own. Also in attendance were representatives from Philly’s RecycleRewards program. They gave away nearly 15 free recycling bins and signed many guests up for their popular rewards program that promotes recycling participation in the city. New for us this time around: a number of our volunteers attended, not only to help out, but also to learn new repair skills in areas they were interested in. 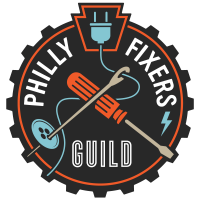 An “apprentice” program is something the Philly Fixers Guild plans on building in the future. Pictures of the latest fair have been added to the home screen slider. Check ’em out!